The Britz depot in New York is in North Middletown. The depot is about 35 miles from Newark Airport and about 50 miles from Downtown Manhattan. Transfers are available to (but not from) Newark Airport and at all rental locations from/to airport hotels. Taxi fare would approx. cost $81 from the Newark Airport and around $113 from Downtown Manhattan. 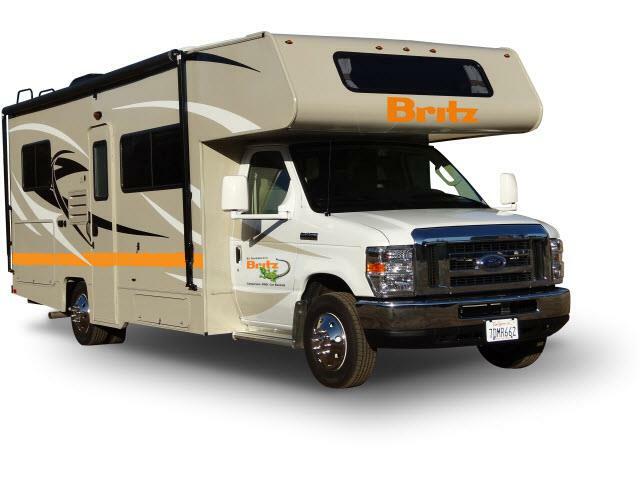 Get your Britz RV hire in New York through Camper Travel. Low Rates, Best Price Guaranteed. The complimentary shuttle leaves the transfer location from Monday to Friday normally after 12:30. On Saturday based on appointment. If the customer provided us the transfer location and how we can reach them but DID not received the exact pick-up time for the transfer by 16:00 the day before vehicle pick-up, we advise the customer to call the pick-up rental station between 08:00 and 09:00 on the pick-up day. Complimentary transfers are provided once a day to (but not from) the airports DEN/EWR/LAS/LAX/MCO/OAK/SEA/SFO (neither JFK nor La Guardia) and at all rental locations from/to named airport hotels.